I find it really interesting that people always claim LeBron James still plays with another superstar in Kevin Love. In truth, Love is a “sometimes” star, let alone even close to a superstar in this league. For someone who’s seen as a dynamic offensive player, he’s never averaged 20 Points Per Game since his arrival in Cleveland. For someone who’s seen as an elite rebounder, he’s only averaged double-digit Rebounds once since his arrival in Cleveland. For someone who should be efficient because he’s good around the basket, he’s never shot over 45% from the field since his arrival in Cleveland. For someone who’s seen as a very good three point shooter, he’s only shot over over 37% from the three-point line once since his arrival in Cleveland. This isn’t even taking into account Love doesn’t match up well at all against the Warriors, a team they’ve met in the Finals for three straight seasons. One of those seasons he was injured, the championship year he was relegated to the bench and replaced by Richard Jefferson in the starting lineup after he had a concussion, and last season he shot just 38% from the field in the Finals. Another factor people don’t consider is how bad Love is defensively. 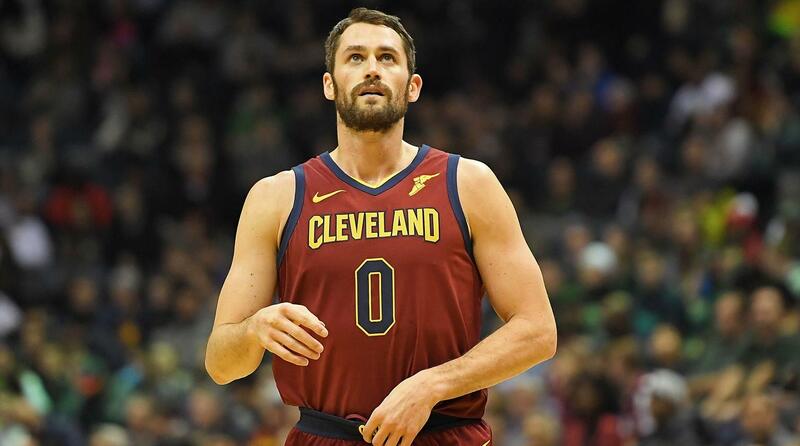 He has improved since his arrival in Cleveland but think about this for a second, Love has been incompetent on that end so often that a lot of the time he doesn’t even finish games. For a supposedly “superstar”, he can’t even be out there consistently when the game is on the line, that doesn’t sound like a superstar caliber player to me. Don’t get me wrong, Love’s skill set is impressive and he has learnt how to playing winning basketball in Cleveland. He went away from putting up empty stats in Minnesota that didn’t translate to wins and has improved on the defensive end since his arrival. However, he is by no means at all a superstar or offers ongoing superstar type help. A superstar absolutely does not consistently put up role player type numbers, especially in the playoffs. I mean, this past Sunday, he had 3 points at halftime and 9 points overall in the game. That’s never going to cut it, even on an off night. Can anyone even remember when he’s had a massive playoff performance? Love has a nice skill set and nice attributes, but his constant inconsistency and inability to show up in big games rules him out of the conversation. He is no where near a superstar in this league.